Description: The traditional approach to updating software for IT assets involves analysis, staging and distribution of the update—a process that usually occurs during off-hours for the business. These updates typically have cryptographic controls (digital signatures) applied to safeguard the integrity and authenticity of the software. Description: This document is the companion document to the Methodology for the Mapping of the Cloud Controls Matrix (CCM). It is a CCM mapping workpackage template that can be used by organizations who want to map their frameworks to the CCM. Description: Mobile Applications are becoming an integral part of not just modern enterprises but also of human existence and a huge part of this shift is due to the emergence of cloud computing. Cloud computing has allowed for the instantaneous utilization of applications which imparts tremendous agility to the enterprise. Description: The CSA STAR Certification is a rigorous third party independent assessment of the security of a cloud service provider. The technology-neutral certification leverages the requirements of the ISO/IEC 27001 management system standard together with the CSA Cloud Controls Matrix, a specified set of criteria that measures the capability levels of the cloud service. Description: The STAR Attestation is positioned as STAR Certification at Level 2 of the Open Certification Framework and STAR Certification is a rigorous third party independent assessment of the security of a cloud service provider. 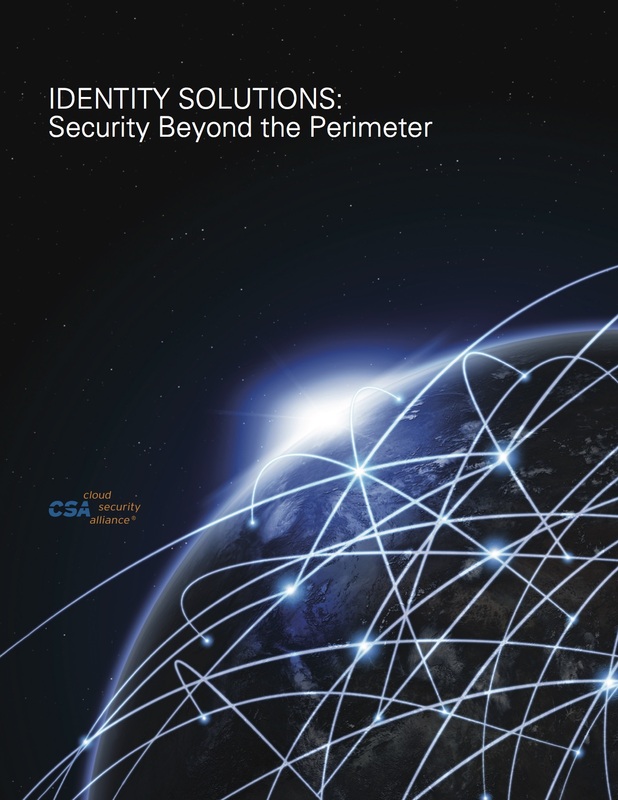 The goal of the Identity Solutions: Security Beyond the Perimeter survey was to address Insufficient Identity, Credential, and Access Management and gain a better understanding and perception of enterprise security in the evolving Information Technology (IT) world. In order to improve the understanding of Security as a Service and accelerate market acceptance, clear categorization and definitions of these services is necessary. This document provides a high overview of the business and technical elements needed to evaluate the risks associated with the category of Continuous Monitoring. This white paper reports the results of a recent study conducted by ISACA and the Cloud Security Alliance to examine cloud market maturity through four lenses: cloud use and satisfaction level, expected growth, cloud-adoption drivers, and limitations to cloud adoption. 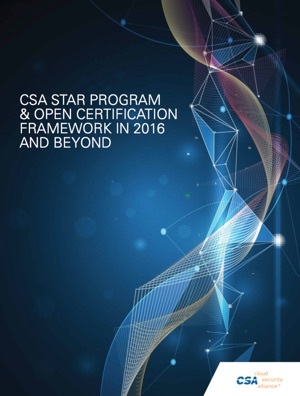 The CSA STAR Program is a publicly accessible registry designed to recognize the varying assurance requirements and maturity levels of providers and consumers, and is used by customers, providers, industries and governments around the world. A research document outlining the six dimensions of big data to help decision makers navigate the myriad choices in compute and storage infrastructures as well as data analytics techniques, and security and privacy frameworks. The Cloud Security Alliance surveyed a select group of global data privacy experts with the intention to measure attitudes towards data protection areas that tie into technology solutions which enable the exchange of information across the cloud. 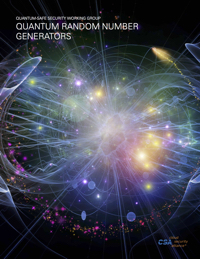 New and updated mappings, consolidation of redundant controls, rewritten controls for clarity of intent, STAR enablement, and SDO alignment. A step-by-step guide to producing and distributing research artifacts. From inspiration and conception to publication and distribution, it covers the the process for research projects and their typical timeframes. The Research Lifecycle is a tool to provide a framework for the life of a research artifact. Disruption defines the business of information security. New technologies change how businesses work, as well as what risks people take. Attackers shift their strategies. But the better security professionals predict and prepare for these disruptions, the more effective we can be. SAFECode and CSA partnered to determine whether additional software security guidance was needed to address unique threats to the cloud computing, and if so, to identify specific security practices in the context of identified threats. A team of 30 CIOs, CISOs, and other executives from Internet2’s membership (both higher education institutions and industry service providers) developed this extended version of the CCM. 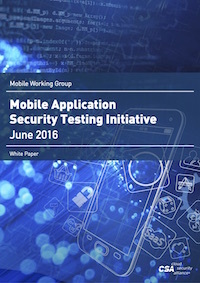 This version includes candidate mappings to address higher education security and compliance requirements. Cloud Controls Matrix (CCM) Version 3.0, is a comprehensive update to the industry’s gold standard for assessing cloud centric information security risks. 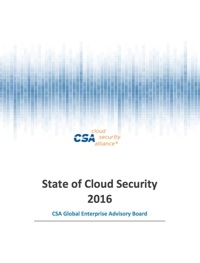 The survey received almost 500 responses from CSA members around the world. It found that 56% of non-US residents were now less likely to use US-based cloud providers, in light of recent revelations about government access to customer information. The Cloud Security Alliance (CSA) has drafted the CSA Position Paper on AICPA Service Organization Control Reports as a means to educate its members and provide guidance on selecting the most appropriate reporting standard. The Outline provides a structure for Cloud Service Providers (CSP) to disclose, in a consistent matter, information about the privacy and data protection policies, procedures and practices used when processing personal data that customers upload or store in the CSP’s servers. Providing organizations with up-to-date, expert-informed understanding of cloud security threats in order to make educated risk-management decisions regarding cloud adoption strategies. This document provides guidance on how to evaluate, architect, and deploy cloud-based SIEM services to both enterprise and cloud-based networks, infrastructure and applications. When using the cloud for operational processes and/or production systems, an organization’s BC/DR requirements must be included in their procurement, planning, design, management, and monitoring of their cloud environments and cloud service providers. Encryption is a primary data (and application) protection technique. For encryption to be useful, encryption keys must be properly managed and protected. 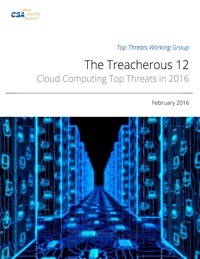 This document covers both the encryption and key management topics. 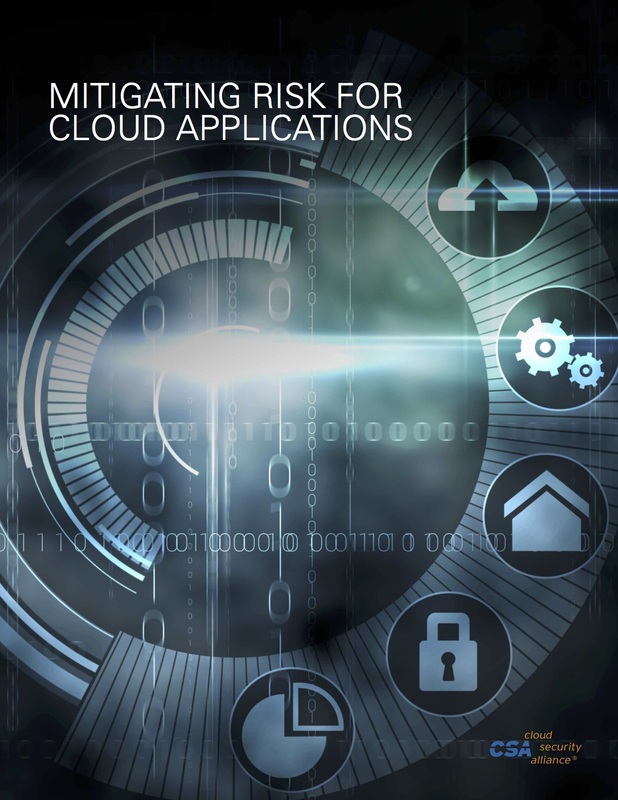 Because of the limited market maturity and lack of widely accepted best practices, this document provides implementation guidelines for cloud-based intrusion management service of multiple flavors—in the cloud, through the cloud, or from the cloud—focusing on the basic tenets of service and architecture rather than solutions. There are many choices for an assessment framework standard and there is no “one size fits all” solution for security assessments. One could reasonably expect that as cloud technology and governance evolves, a much smaller subset will emerge with a cloud focus. Culture‐free, one‐size‐fits‐all English is usually the most efficient way to speak to a large, heterogeneous audience of E2s. In contrast, there are times when our English materials are intended for E2s in a small number of specific countries. In these cases, it might make good business sense to produce more than one English version, sensitive to the first language of the readers. This book is for all these people, and indeed for all executives whose companies are using, or thinking of using, cloud computing.